Excellent for treating chambers, cylinders, and barrels, or use for pin point accuracy oiling. You can use one drop exactly where you need it, without all the mess. Great for those otherwise unreachable areas with traditional applicating methods. 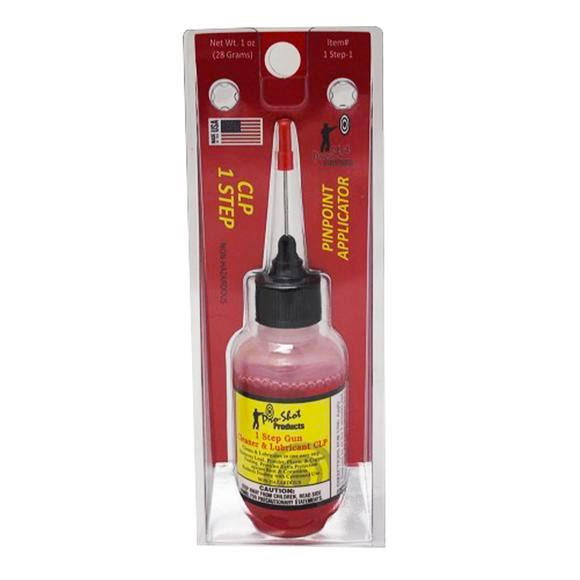 Excellent for treating chambers, cylinders, and barrels, or use for pin point accuracy oiling. You can use one drop exactly where you need it, without all the mess. Great for those otherwise unreachable areas with traditional applicating methods. Next Generation of Cleaner and Barrel Maintenance is here! Environmentally Friendly and Non-Hazardous Formula leaves barrels clean and protected in one easy step! Removes: Lead, Powder, Plastic, Copper (Jacketed), and Primer Fouling.